Happy weekend!! I've got a brand to share with you today that has long been on my "must try" list! When Gloss48 asked me to work with them I jumped at the chance to try Floss Gloss! 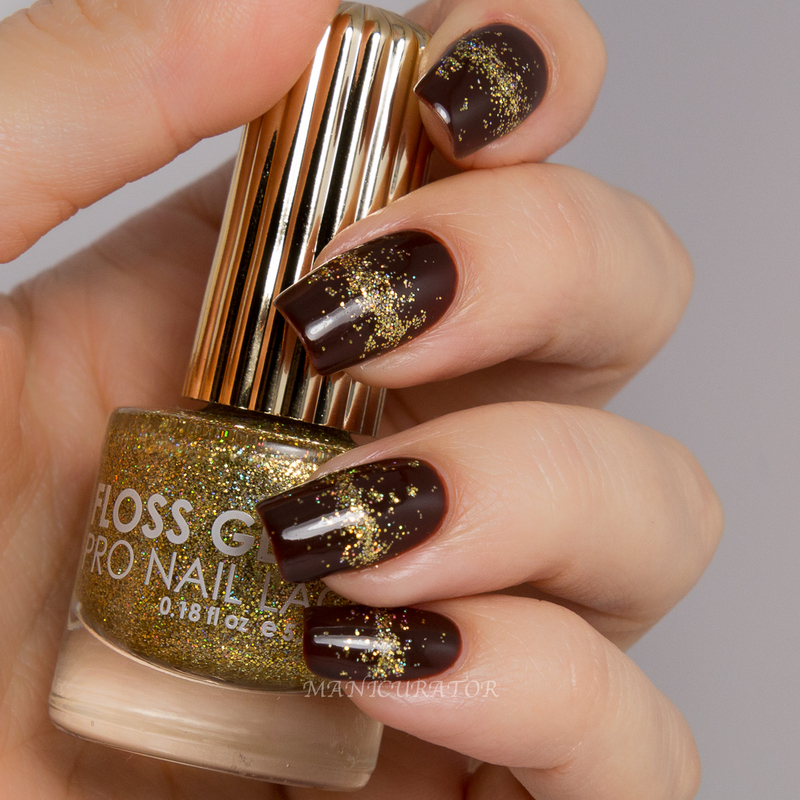 Floss Gloss on Gloss48 starts Wednesday, November 5th at 11am and runs through Wednesday, November 12th at 11am. Gloss48 launches new, indie beauty daily. They are the go-to source to discover the best, latest, most amazing brands that aren't available at Sephora and the department stores. They carefully curate (and try!) all of the products on the site to make sure they are offering up a daily dose of amazingness. 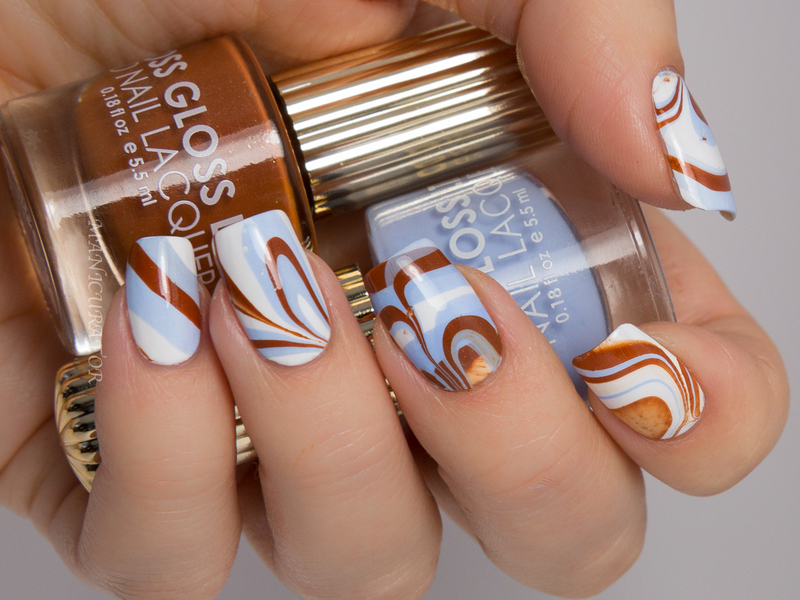 Floss Gloss was founded in 2009 in San Francisco by Aretha Sack and Janine Lee who formed the nail crew Floss Gloss after many sleepless nights of painting and polish mixing, rap bumping and girl-time talking. 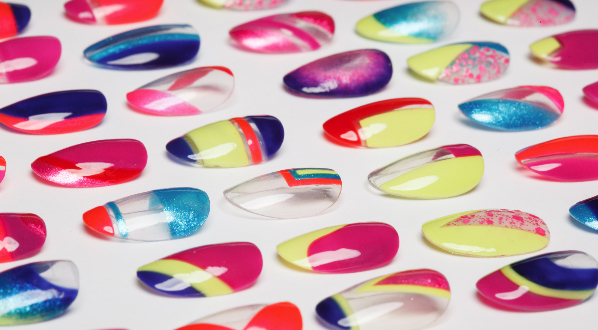 Deemed Floss Gloss for nails that ‘Flossed and Glossed like a Boss’. 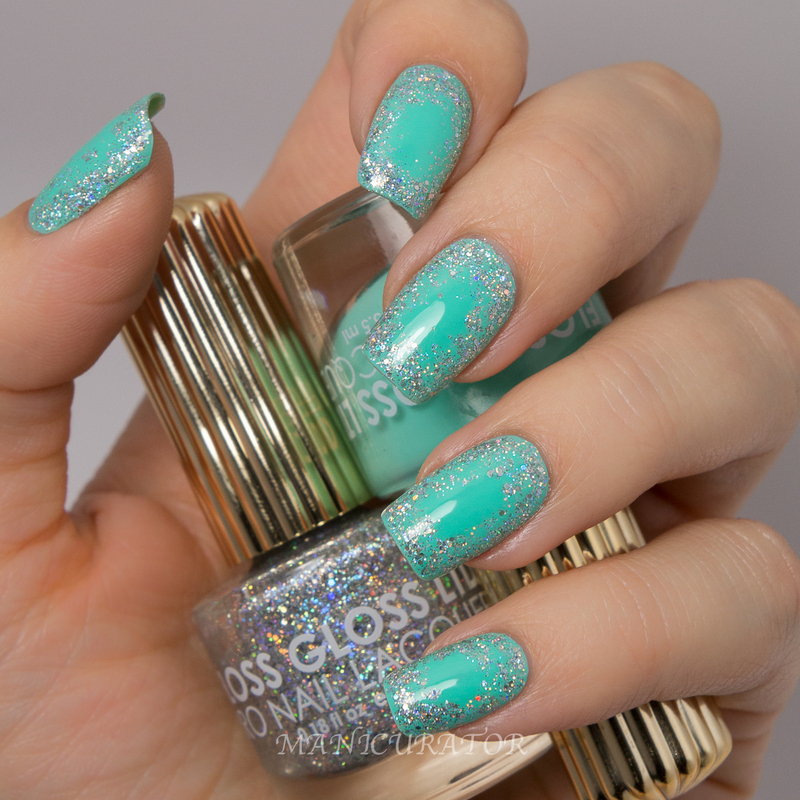 Floss Gloss Wet - the original Floss Gloss color, an electric turquoise creme. This shade is just WOW. Not my favorite formula, it took three coats to cover up patchy spots and it's not very self leveling. You'll need a top coat for sure. But after top coat everything smooths out and you are left with this gorgeous color pop. Floss Gloss Dimepiece - holographic silver glitter. I used the brush from the bottle (oh how I adore the bottles!) to dab on Dimepiece. 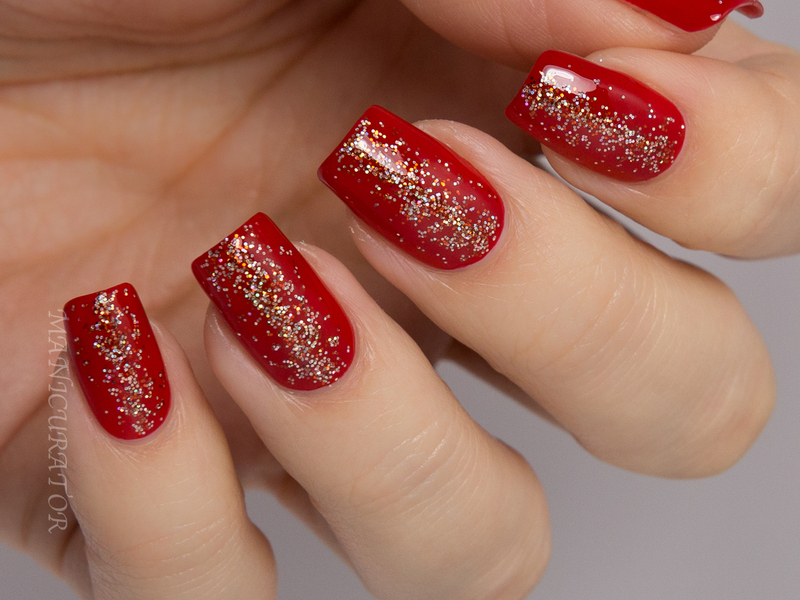 Fairly easy to achieve this look and I really couldn't stop staring at my nails while this was on! Floss Gloss Gansta Boo - classic red. Excellent creme/jelly formula, opaque in 2 coats, dries to a high gloss finish. 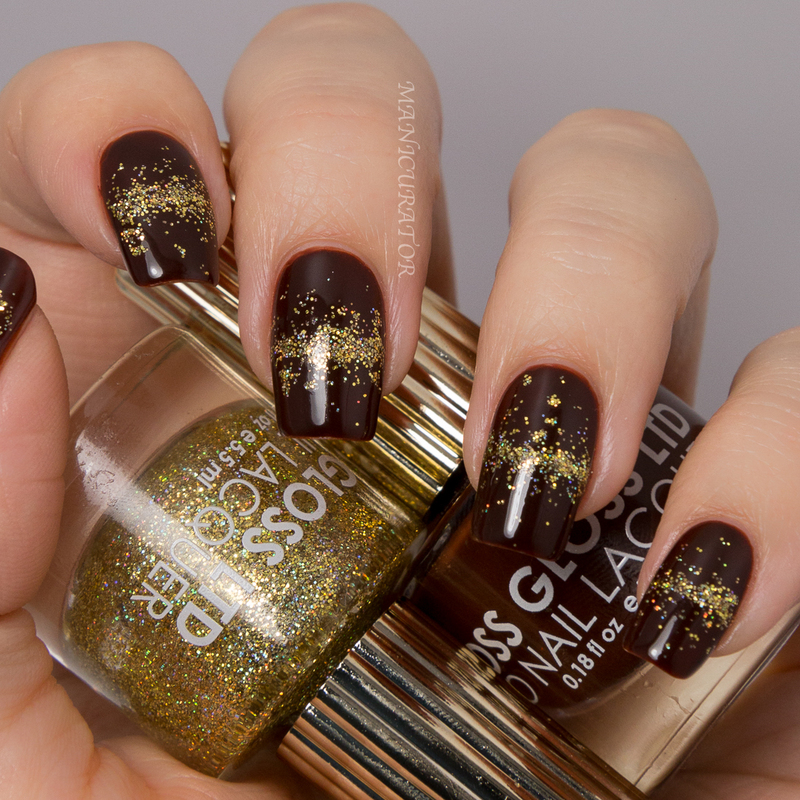 Floss Gloss Honey - holographic bronze glitter. 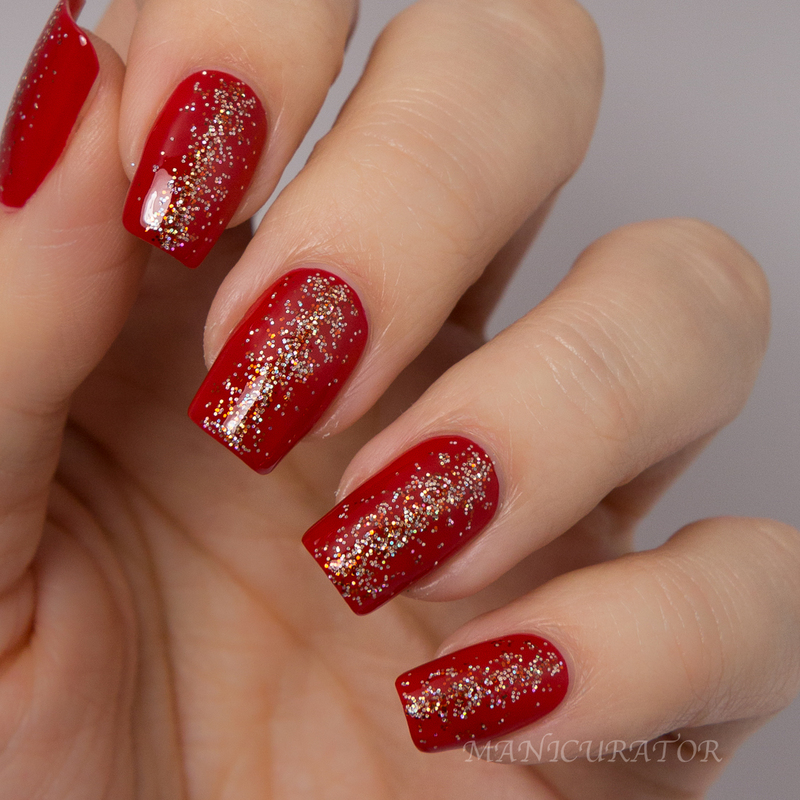 I dabbed this down the center of the nail using the brush from the bottle and created a gradient effect out the sides. Love how these paired up. Floss Gloss Blood, Suede and Tears - a blood orange brown with a jelly/creme finish. I needed 3 coats for opacity, good formula. Floss Gloss Stun - holographic gold glitter. A stunner for sure! So easy to create this look! I wanted to revisit the glitter middle gradient I did back in Feb. and this glitter is perfect for it. Again, I just dabbed it on using the brush from the bottle. 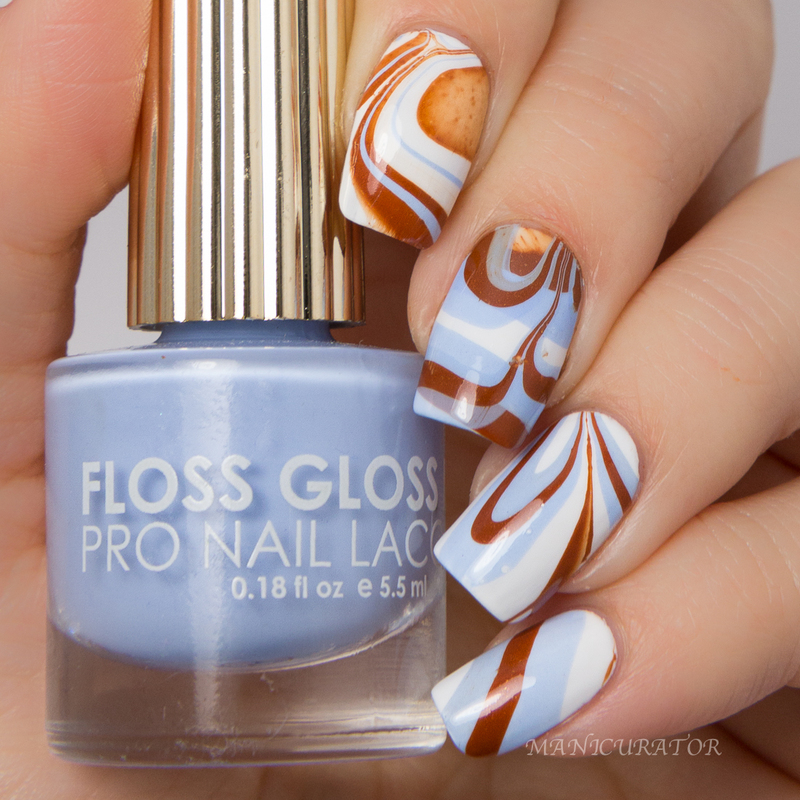 I started this watermarble with Mrs. Tony Montana which is super pigmented, like white out, and is opaque in 2 coats. Then I watermarbled with 95% Angel, Donatella and a clear top coat (to allow the white base to show). I'm quite pleased with how all of these turned out and thrilled with Floss Gloss! Looking forward to adding to my collection! Those are lovely colors! I just love the nail art you did here. 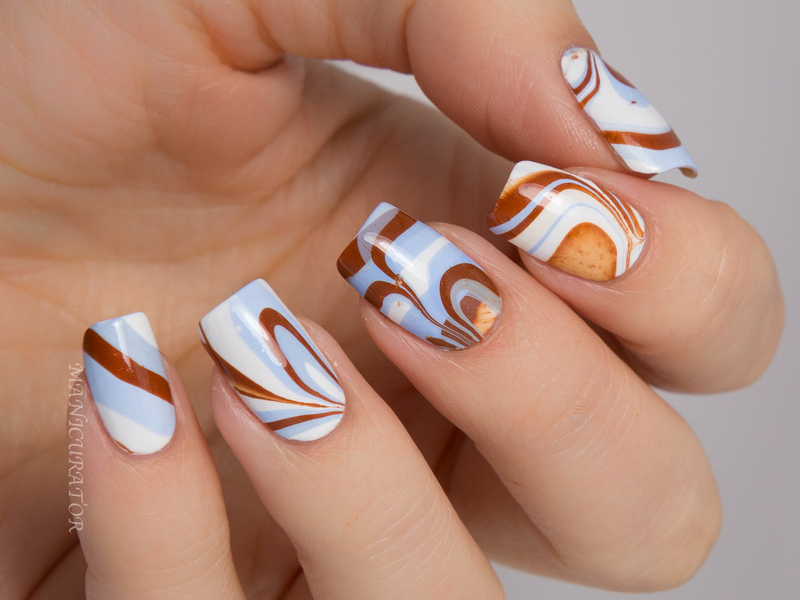 I love the water marble!! 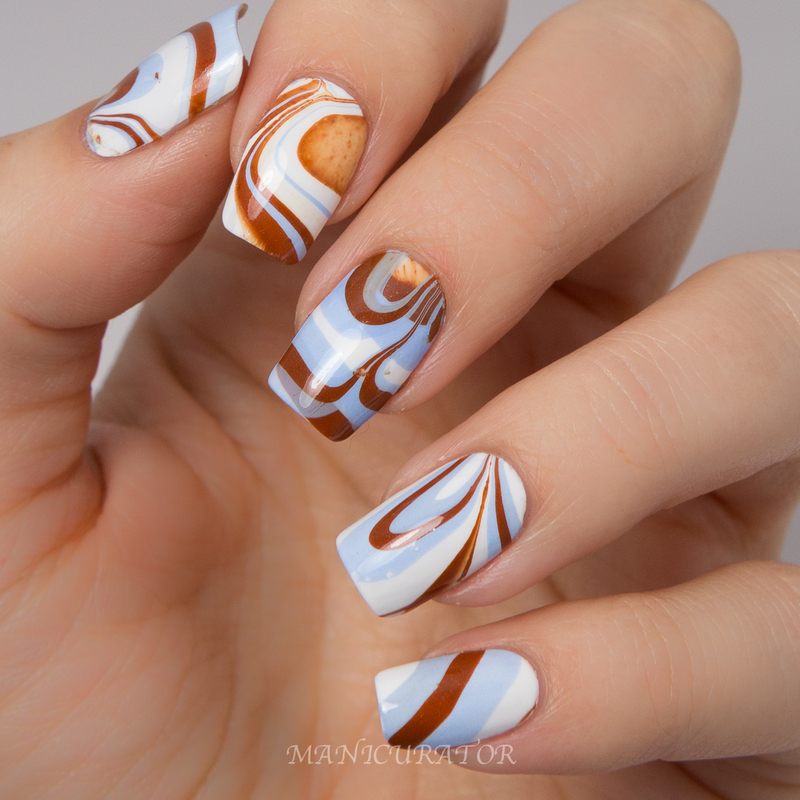 Even the double water marble lol. What a bunch of fabulous colors! 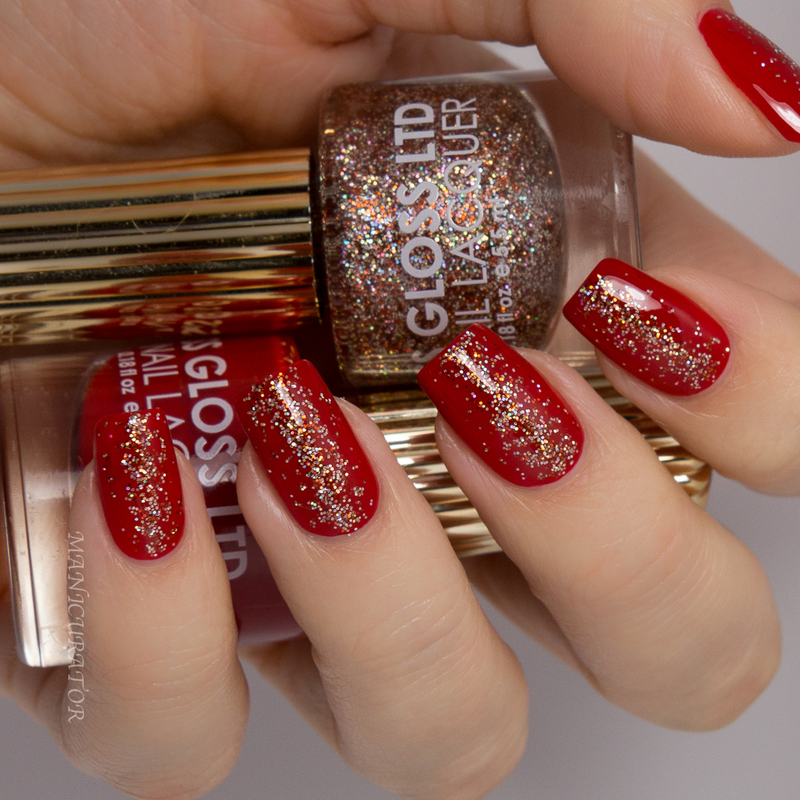 I'm especially loving your work with the glitters and I ADORE the Blood, Suede, and Tears/Stun duo. Floss Gloss is so fabulous. Dimepiece is one of my very favorites that I reach for again and again! Thanks for the giveaway! 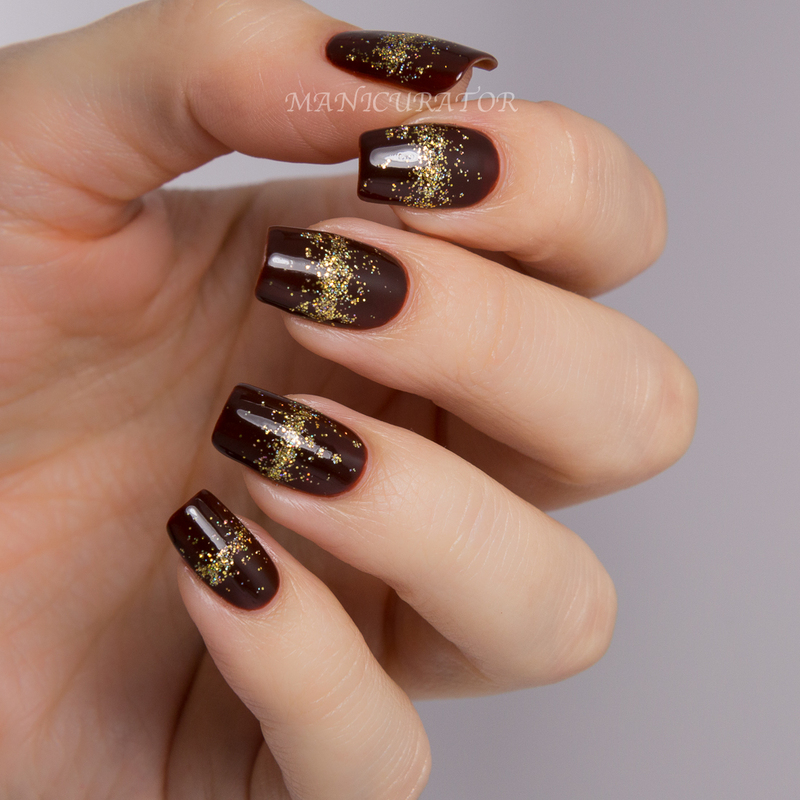 Your manis are flawless - love the watermarble, and the glitter gradient with the oxblood and reddish-gold glitter the best. 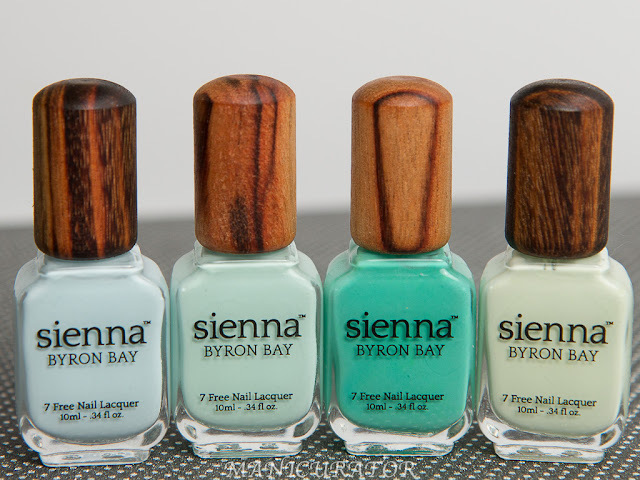 I'm loving that mint mani! 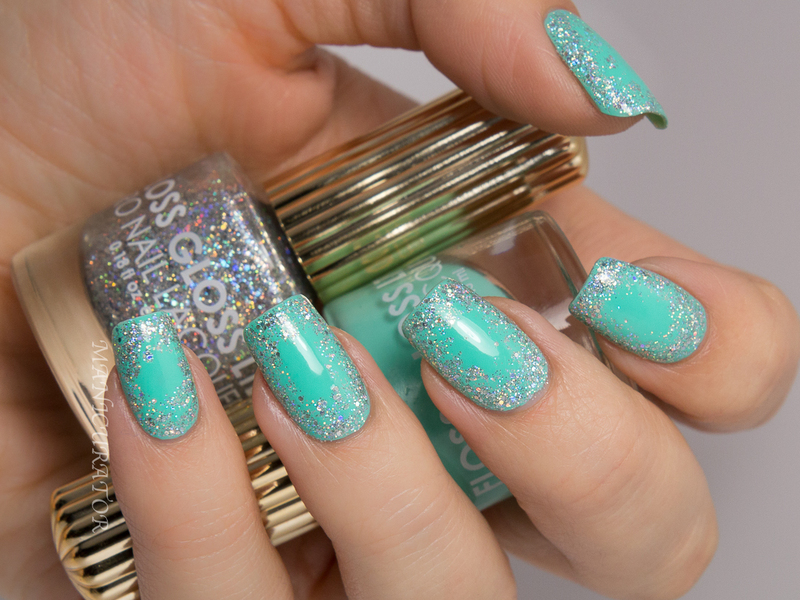 omg I am dying over the mint & glitter mani! Perfection! Love the first look with the glitter border. Looks amazing. 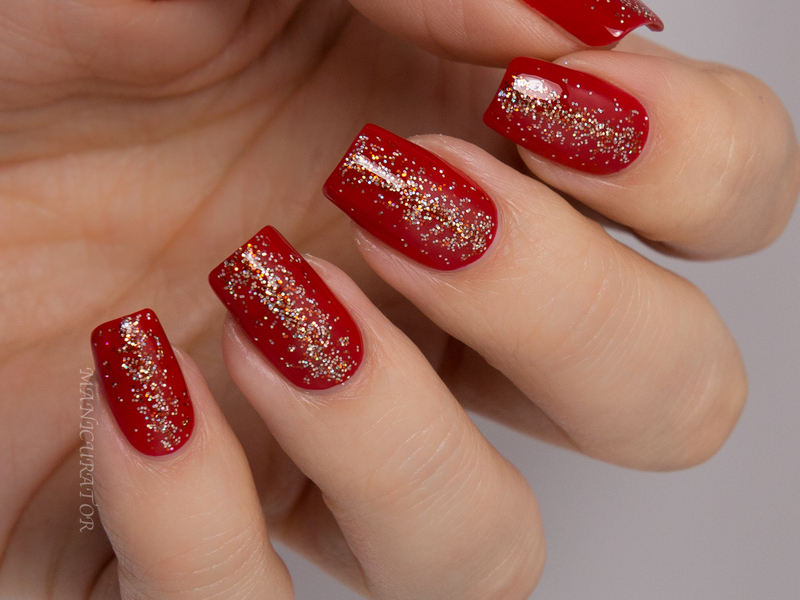 I just adore what you did with those glitters! Amazing use of them :). I love every single mani, but especially the first one. Floss Gloss is amazing! The floss gloss is my favorite too! I wish I could duplicate it! !